Offering low cost accommodations in the heart of Old Town. With 14 budget friendly rooms guest can choose from single, double or triple rooms. 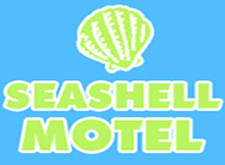 The Sea Shell also offers a one bedroom suite and a double room with kitchenette. All rooms are air-conditioned, have cable tv and come with mini refrigerators. There are also coin operated laundry facilities on site. The hostel features 30 bunk beds spread around one all male room, one all female room and one mixed room. Guests are supplied sheets and can rent towels. The hostel features 30 bunk beds spread around one all male room, one all female room and one mixed room. Guests are supplied sheets and can rent towels. Coin operated laundry facilities and lockers are available. There is a fully equipped kitchen, outdoor grill and free wi-fi as well as an outdoor common area in the courtyard.